Throwback Thursday : Ten, Twentieth Century Holiday Movies, 1 per decade! Holiday movies are a big part of the Pendant and Ring family tradition. Although we enjoy everything from Die Hard to Eight Crazy Nights, this list is a top-ten must-see Holiday extravaganza for the film buff you know. The first film is a silent short from 1900. Georges Méliès’ Reve de Noel (The Christmas Dream) is less than 5 minutes long, but he still manages to include most of the tropes we associate with the holiday season. His transitions are shaky, but waking from sleep often is! You can find this film, now in public domain, on YouTube. The following decade, in 1912, Russian animator Vladislav Starevich published a stop-motion short-film called An Insect Christmas. It is a great film wherein a tiny Grandfather Santa slides down the Christmas tree in the middle of the night to host a magical holiday party for the insects living outside in the bitter cold. He arrives home and climbs the Christmas tree before anyone is the wiser. This film is a true gem available on YouTube. The frog reminds me of my own early childhood favorite – Frog and Toad, and the love of bugs made me re-think the origins of Franz Kafka’s Metamorphosis. The next selection is a 1921 the Swedish New Year’s Eve movie, that carries the same theme as It’s A Wonderful Life, only in the horror genre. Interested yet? The Phantom Carriage, available on YouTube is based on a Swedish legend that maintains the last person who dies in in one year must ferry the souls of the dead for the following year. 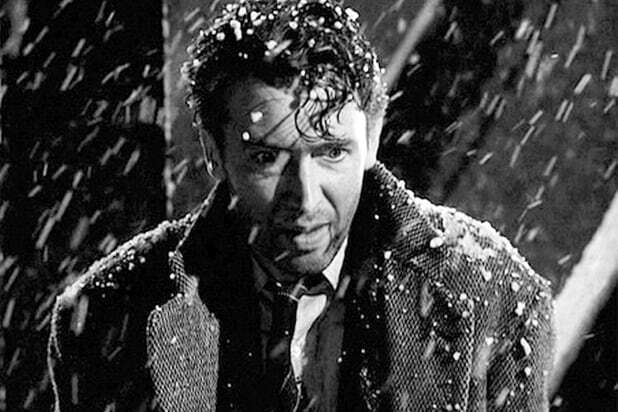 This is a hard-hitting silent film dealing with grief, alcoholism, perception, guilt and remorse, but like It’s a Wonderful Life, it leaves room for redemption. In 1933 Silly Symphonies put out The Night Before Christmas, an animated short where in Santa delivers presents to a group of children, also available on YouTube. You might have seen this one coming. Our 1940’s favorite is It’s a Wonderful Life directed by Frank Capra. The movie premiered in 1946 and reviews the life of down-on-himself George Baily in order for Clarence to earn his angel wings. Mythologies aside, this is a great movie full of love and hope triumphing over fear and hopelessness. The first rendition of How The Grinch Stole Christmas came out in 1966. Narrator James Earl Jones really makes the movie. We love this version and watch it annually. From the 1970’s we re-watch A Year Without a Santa Claus, a stop-motion animation movie. This one seems to correspond with gift wrapping, not intentionally, but that is the way things work out around here. In the 1974 show Mrs. Claus and the elves remind Santa why he does what he does. (I’m starting to see a running theme with these movies!) Once Santa sees how important his job is, all is well in the world and Christmas goes off without a hitch. From the 1980’s we have You’ll Shoot Your Eye Out, I mean, A Christmas Story. Although we cannot say exactly why we watch this movie over and over, we do! Maybe it is the drunk Santa at the mall, or the all knowing mother and the bb gun, or the annoying neighbor dogs invasion and subsequent expulsion. Whatever it is, this movie is a yearly Christmas staple. Tim Allen stars in the 1994 movie, The Santa Clause wherein a toy salesman becomes the Santa Claus. Like the Grinch, Scott Calvin finds the meaning of Christmas not at the bottom of a sales commission slip, but instead in the joy of giving. Here ends our list of 20th century holiday movies worth their salt, that have all become traditions for the Pendant and Ring family. Happy Holidays, and Happy Watching!